Doctors from North Carolina have developed a technique that allows them to 3D print living tissue, to replace or repair damaged body parts. The printed tissue functioned normally, carrying out the functions of natural tissue, when implanted in animals. 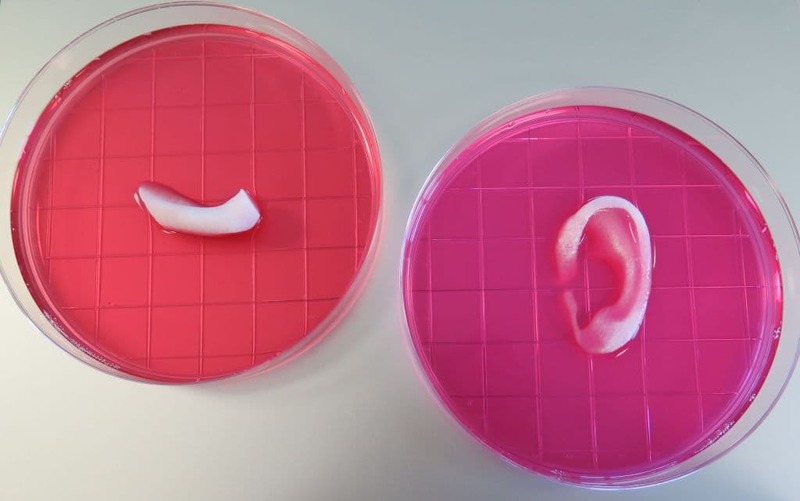 3D printing living tissue and successfully integrating it into the human body has been the modern medical dream for quite some time now. Although there is extensive research being done in the field, it still isn’t perfect. But it might be, someday soon. The Integrated Tissue-Organ Printer (ITOP) developed by the doctors from Wake Forest Institute for Regenerative Medicine, North Carolina, is able to produce stable tissue constructs of any shape. The shape, determined by clinical imaging, is fed into a computer program that controls the printing of the structure. The shape is created by weaving together a hydro-gel and a biodegradable polymer. Cells are dispersed into the hydro-gel, which houses and nourishes them. The shape is woven in a sponge-like pattern. The micro-channels present in the pattern allow the cells inside the structure to have access to nutrition; this solves the previous problem of cells in printed tissues thicker than 200 micrometers dying from a lack of oxygen. The polymer in the printed tissue helps it maintain its shape, and also provides mechanical strength. After the structure is implanted, the polymer degrades and is replaced by natural proteins produced by the cells. Nerves and blood vessels also grow into the structure, integrating it into the body’s system. So far, the researchers have printed a jawbone, an ear cartilage, skeletal muscle tissue, and a calvarial bone (bones that make up the skull) specimen. The researchers are confident in the capabilities of the printed tissue, but are waiting to test out their durability; i.e. to see if the body will repair and nourish them like normal tissue when they degenerate, or if they will have to be replaced from time to time. If the tissue has the ability to regenerate, this technique could be used in a larger scale in human beings, perhaps even in replacing entire organs and other body parts.